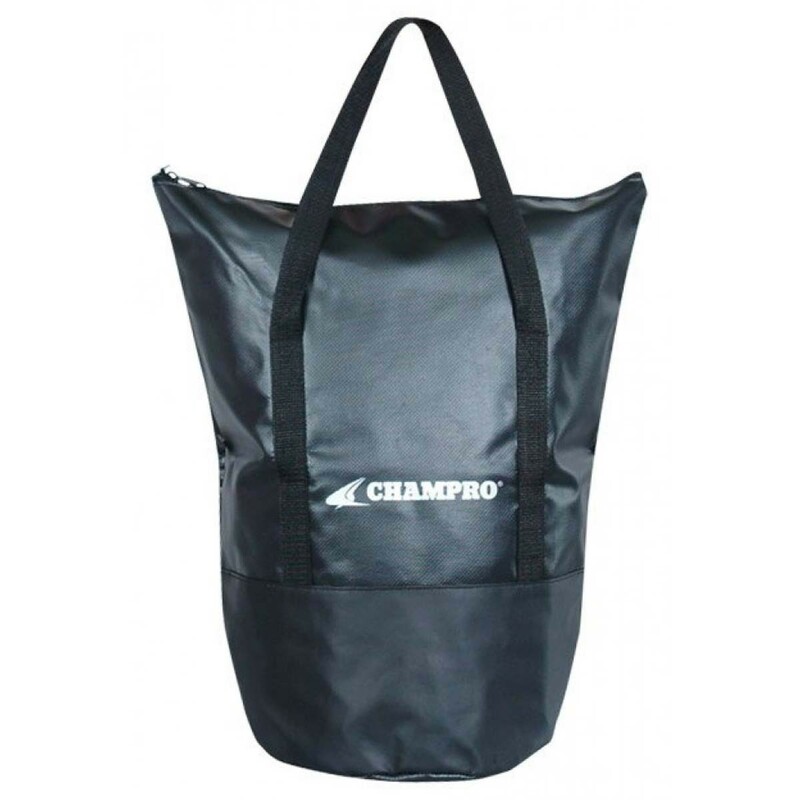 9" x 15" x 18.5"
The Champro XL ball bag measures 9"L x 15"W x 18.5"H and holds up to 4 dozen lacrosse balls. This durable bag is made of tough, waterproof coated 600 nylon material with a web reinforced imitation leather bottom. This XL bag features a round bottom stand-up design for stability and is equipped with web carry handles for easy transport. The XL ball bag can also hold up to 48 baseballs or 24 softballs.